A Professor of Medicine, Dr Greenspan is dually-trained in Geriatrics and in Endocrinology, and she serves as UPMC’s Director of the Osteoporosis Prevention and Treatment Center and as Director of Bone Health at Magee Women’s Hospital. Her research focuses on geriatric osteoporosis, including its pathophysiology, evaluation, and treatment. Her current R01s focus on osteoporosis in institutionalized elderly, including new treatment modalities and new assessments of bone strength. In addition, she is PI of our NIH-funded “Pepper Center” and also our NIH T32 Program in Clinical Research Training in Geriatrics/Gerontology. 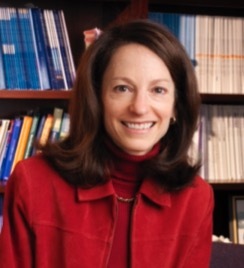 A former member of NIH/NIA’s Board of Scientific Counselors, she now serves on NIA’s Clinical Trial Advisory Panel. She is also President-Elect of the National Osteoporosis Foundation and a member of its Board of Trustees. Dr. Greenspan is a Professor of Medicine, dually-trained in Geriatrics and in Endocrinology. She currently sees patients at the Benedum Geriatric Clinic located in Montefiore Hospital where she treats osteoporosis. Resnick, N.M., Greenspan, S.L. “Senile” osteoporosis reconsidered. Journal of the American Medical Association. 1989; 261: 1025-9. Greenspan, S.L., Myers, E. R., Maitland, L.A., Resnick, N.M., Hayes, W. C. Fall severity and bone mineral density as risk factors for hip fracture in ambulatory elderly. Journal of the American Medical Association. 1994; 271: 128-33. Greenspan, S.L., Maitland, L. A., Myers, E. R., Krasnow, M. B., Kido, T. H. Femoral bone loss progresses with age: A longitudinal study in women over age 65. Journal of Bone Mineral Research. 1994; 9: 1959-65. Greenspan, S. L., Myers, E. R., Kiel, D. P., Parker, R. A., Hayes, W. C., Resnick, N. M. Fall direction, bone mineral density, and function: risk factors for hip fracture in frail nursing home elderly. American Journal of Medicine. 1998; 104: 539-45. Greenspan, S.L., von Stetten, E., Emond, S. K., Jones, L., Parker, R. A. Instant vertebral assessment: A noninvasive DXA technique to avoid misclassification and clinical mismanagement of osteoporosis. Journal of Clinical Densitometry. 2001; 4: 373-380. Greenspan, S. L., Schneider, D. L., McClung, M. R., Miller, P. D., Schnitzer, T. J., Bonin, R., Smith, M. E., DeLucca, P., Gormley, G.J., Melton, M. E. Alendronate improves bone mineral density in elderly women with osteoporosis residing in long-term care facilities: a randomized, double-blind, placebo-controlled trial. Annals of Internal Medicine. 2002; 136: 742-746. Greenspan, S. L., Resnick, N. M., Parker, R. A. Combination therapy with hormone replacement and alendronate for prevention of bone loss in elderly women: A randomized, controlled trial. Journal of the American Medical Association. 2003; 289: 2525-2533. Greenspan, S. L., Resnick, N. M., Parker, R. A. Early changes in biochemical markers of bone turnover are associated with long-term changes in bone mineral density in elderly women on alendronate, hormone replacement therapy, or combination therapy: A 3-year, double -blind, placebo-controlled, randomized clinical trial. Journal of Clinical Endocrinology and Metabolism. 2005; 90: 2762-2767. Greenspan, S. L., Resnick, N. M., Parker, R. A. Vitamin D supplementation in older women. Journal of Gerontology: Medical Sciences. 2005; 60 (A): 754-759. Greenspan, S. L., Bone III, H. G., Ettinger, M. P., Hanley, D. A., Lindsay, R., Zanchetta, J. R., Blosch, C.M., Mathisen, A. L., Marriott, T. B. Effect of Recombinant Human Parathyroid Hormone (1-84) on Vertebral Fracture and Bone Mineral Density in Postmenopausal Osteoporotic Women. Annals of Internal Medicine. 2007; 146(5): 326-39.